Pavina Thephithuck is a Legal Trainer/Gender Based Violence Programme Coordinator at BABSEACLE a not-for-profit organizations. Supporting “Bringing Justice Closer to Woman Suffering from Gender Based Violence (GBV) project as well as support the nationwide development of CLE throughout Laos. Partnering with Faculty of Law and Political Science, National University of Laos, Faculty of Law and Political Science, Champasak University in developing Law Professing on knowledge, skill and value. She started her Pro Bono career first time in 2010 by joining the CLE program as a student’s volunteer doing awareness raising in lower and upper secondary and Vientiane Training and Vocational treatment centre in Vientiane Capital. She also travel to different part of the country to educate villagers on awareness raising on numerous topic related to the need in more than 71 villages in Attapue, Sayyabouly and Phongsaly Province while she was a Clinic Student. She than join BABSEACLE team in July 2013 as a legal fellow to persent to further passion to help fostering access to justice and create the culture of a Pro Bono heart & Mind to all Law profession and other to take another step forward toward in becoming the Rule of Law in Laos. 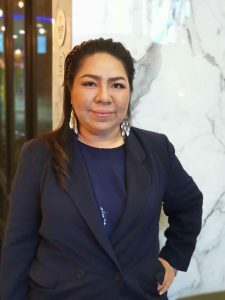 Somkod is administrative and Finance Assistant for BABSEACLE Laos, who has responsibilities to provide both administrative and financial support for Lao team under the Gender-Based Violence (GBV) project. Prior to BABSEACLE he used to work with private bank in Laos. 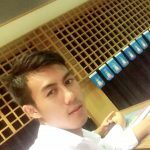 He graduated Accounting from the Faculty of Economic Business and Management, National University of Laos.